'Lakshmi', Mysore, India, February 1, 2017. 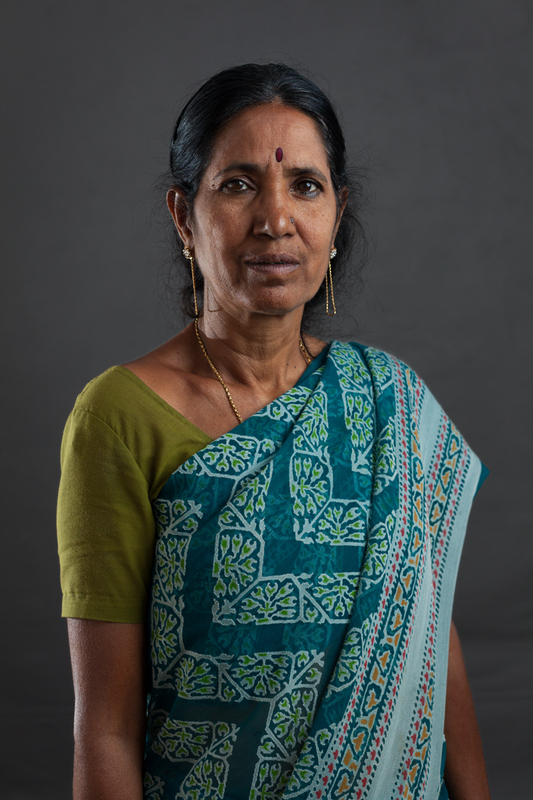 Lakshmi is a freelance housekeeper and master cook working mostly for visiting foreigners who rent guest houses in the Gokulam area of Mysore. She has apparently developed somewhat of a reputation in her community for not being subservient to local men. Years ago, she left her husband, a house painter who had developed a bad drinking problem and was abusing her and her children.